I can’t have been the only person who was totally shocked by the image doing the rounds on Twitter earlier in the week of Kofi Kingston and Cesaro duking it out on a WWE TV show six years ago. Six years has passed by and neither man has really moved up the card or escaped mid-card purgatory. In fact, whilst some of the top stars may have changed, very little about the way the WWE is presented has changed over the last six years. Indeed, the whole Attitude Era, which was full of so much change and transition, only lasted about four years, which certainly gives you food for thought. That image, and the #10yearchallenge trend also doing the rounds, certainly makes you question how long a period of time feels. 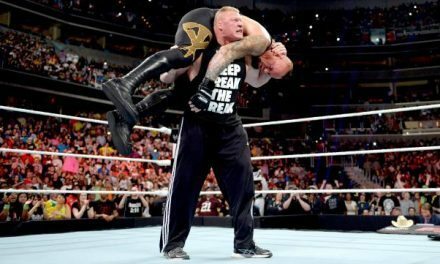 In wrestling, time is often a peculiar concept – when someone is out with injury it can feel like years, but when a title reign is hot it can feel like a matter of weeks when it’s been at least a few months. Doing my Match of the Year list for Voices of Wrestling earlier in the week made me realize how much things have changed over the past 12 months in some promotions and how little in others. 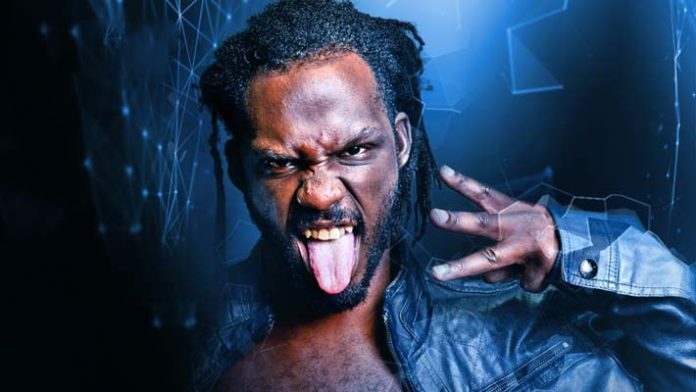 Someone who had a particularly long 2018 was the current X-Division champion Rich Swann, who was in action on Impact this week against Trey Miguel. This time last year, Swann was still under suspension by the WWE following his domestic abuse arrest in December 2017. It emerged in late January that all charges against the former Cruiserweight champion were being dropped due to insufficient evidence and by the date of his 27th birthday in mid-February, Swann had been released by the WWE. From that moment the former Dragon Gate USA star picked up a flurry of bookings, only to signal his retirement on social media as a result of the backlash from fans. Swann would stay active though, wrestling for CZW and MLW, before making his debut for Impact Wrestling in late June and signing a contract shortly thereafter. Since his arrival, Swann has become an integral part of the Impact roster. He had entertaining clashes with Fenix and Petey Williams in the immediate aftermath of his debut, and whilst he missed Slammiversary as a result of a concussion, he entered his first feuds as 2018 entered its final quarter. First up it was against Matt Sydal and Ethan Page, culminating in an excellent show-opener at Bound for Glory, and then it was with Sami Callihan and OvE, a feud that is rolling along nicely through the start of 2019. Swann challenged Brian Cage for the X-Division title in New York following Bound for Glory and whilst he came up short there, the Baltimore native did capture gold at the Homecoming show at the start of 2019, beating Jake Crist, Ethan Page and Trey Miguel in the return of Ultimate X. In just over 12 months following his arrest and less than 10 months after almost retiring, Swann was once again a star player in a major American wrestling company. For him, a year must have felt like a very long and tumultuous time indeed. Before I get #cancelled, there is something I want to say. I deliberated about writing this at all, as I have my own reasons for being very touchy over the subject of domestic violence. Indeed, as a person I’m not someone who particularly believes in second chances. However, with Swann’s case, it was the perfect example of there being than meets the eye to initial reports. His initial arrest shocked most of the wrestling community as he’d always come across as a likeable bloke in and out of the ring. He chose, wisely, not to fuel rumors or issues over social media and remained relatively quiet. The charges were dropped and his wife, Impact star Su Yung, would later release a series of comments both defending Swann and admitting responsibility, citing that her own ‘personal demons’ had been a factor. The fact they work together regularly and no further issues seem to have arisen suggests to me that their issues have been resolved. With all that in mind, I did not raise my eyebrows with disgust or disappointment when Impact signed Rich Swann. In fact, I was pleased in a sense. It was a chance for him to get back to wrestling on a national stage, a stage his talents undoubtedly deserve, and for me to give him a second chance. Swann has taken that second chance with both hands, producing stellar performances for Impact, MLW and AAW and now carving out a niche for himself as the ‘No Limits Soldier’ Champion of the X-Division, with a big feud with Sami Callihan looming on the horizon. A year can be a very long time in wrestling, and for Rich Swann that’s perhaps truer than for anyone else. In the case of the No Limits Soldier, he’s shown that it’s enough time to prove that people sometimes do deserve a second chance. I have to say, I really didn’t enjoy this week’s episode of Impact. Whilst a good show on paper, everything felt rushed and lack the time to breathe. The only real highlight was Brian Cage against Moose, a very solid hoss showdown. Jordynne Grace got a very solid squash win over former two-time Knockouts Champion Allie, presumably moving her towards the Knockouts title picture, which is exactly where she should be. Eli Drake’s promo this week was superb, and I am intrigued by his feud with Eddie Edwards moving forward. We head to Mexico next week for the first of four weeks of shows from Mexico City, with Rich Swann against El Hijo del Vikingo, The Desi Hit Squad against the Rascalz, the return of Taya Valkyrie and Johnny Impact versus Killer Kross all scheduled.